In 1985, American Cancer Society and the Imperial Chemical Industries teamed up to promote mammography as the most effective weapon in the fight against breast cancer. In 1993 Evelyn Lauder, Senior Corporate Vice President of the Estée Lauder Companies, founded The Breast Cancer Research Foundation and established the pink ribbon as its symbol, but the pink ribbon was not the first time used. In 1991, the Susan G. Komen Foundation had handed out pink ribbons to participants in its New York City race for breast cancer survivors. There were many opportunities to participate in an event in our area. My favorite is Bras Across The Bridge where you pay $20 and bring a new bra to donate. All proceeds go to people that are in need of mammograms. Not only do women attend, but kids, and men. All with their bras on the outside of their clothing. All dressed in pink, tutus, Mardi Gras beads, and full-on crazy fun. I have a girlfriend Janet, who is a breast cancer survivor. Four years, cancer free. Janet’s story is everything NOT to do when something is wrong with your body. She did not go to doctors, she did not do self examinations and she did not get mammograms. Janet kept her illness to herself. She hid it from all her family. After years of keeping this to herself, knowing in her heart that it was cancer. It came time to face the fact that she had to go to the hospital. With only her sister by her side she finally went in. Hospital staff was amazed and appalled with what she was to face. Janet said knowing that she was going, gave her the peace of mind and wherewithal to do what she had to do. A couple of weeks ago I mentioned that I was having a Cookie exchange for Christmas. I invited 25 people; if I get that many would be a great achievement. I am hosting this at my house and those of you that read this blog know I live in Pensacola, Florida. I love to entertain. My thoughts are leaning to an outside garden party, because I live in Florida and the weather will be beautiful. In my mind I have little bistro tables with lacy table clothes. Pretty fall center pieces and fairy lights. I will be serving Champagne Punch, the recipe my girlfriend Carole serves, with fresh raspberries. I also am going to make some finger foods. This is being held in the late afternoon/early evening. I like to cook, bake, do some canning, freeze a couple of meals and eat it all! I have the backyard thought out but the front yard was a challenge. I went online for ideas. I was online for over 3 hours. Yes, 3 hours, you see one thing then click on something else. But what I found was flags, banners, and signs, all to do with FOOD. I started looking at Welcome signs and from there I went to Cheers, Wine, Candy, Watermelon, Pumpkins, Jalapenos, Turkey, Strawberries and Pineapple. Then there are carnival foods: Hot Dogs, Corn Dogs, Cotton Candy, Sno Cones, Pizza and Italian Ice. Knowing a few people with delis/bistro type restaurants, I am thinking these would be great for everyday or specialty sales! Welcome and Open flags and banners. Your flag could be tres chic, rustic, cutesy or just plain fun. If those ideas do not tickle you, do you know we can custom make your flag, banner or sign? Whether you need one for your place of business or you are on a committee that needs to get the word out about your organization, fundraiser, school or campaign this idea is really an eye catcher. I am 1/2 Polish, on my Mother’s side. My Grandparents were both from Poland. My Grandparents had accents, spoke in Polish among themselves, but us Grandkids did not speak, nor were not taught the language. I remember when our family would get together for the holidays and the great food that was prepared. We would have Borscht Soup (beet soup), always Chicken Noodle, Golobki (stuffed cabbage), Kielbasa (sausage both smoked and fresh), sauerkraut and rye bread, fresh from the bakery. Our holidays evolved around cooking. My Grandma and Aunty Gene were the best of cooks! I LOVE to cook myself so I make all of these dishes. When my daughters were growing up we incorporated customs from Poland into the Holidays so they would know their heritage. Easter time was the basket that they would fill, with bread, decorated Easter Eggs and of course the butter shaped like a lamb. This we would take to Church for Father to Bless on Saturday before Easter Sunday. 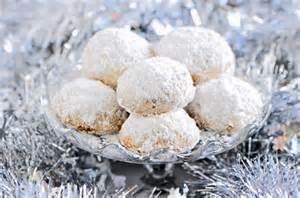 Christmas, we would have a special meal on Christmas Eve then attend Midnight Mass. On birthdays we would always sing Sto Lat! Which this song goes on to wish you to live to be a hundred! The girls went to Catholic school and was predominantly Polish. So we did celebrate the customs in school also. In 1984, President Ronald Reagan passed that August would be Polish American heritage Month. But this was changed in 1986 to October so schools could participate. The Polish Flag is Red and White, either the standard plain or with the Polish Eagle. If you are of Polish Heritage, fly your Flag! Dobry (hello), Kocham cie (I love you), na zdrowie (cheers). So hail a Pole this month, maybe even have a Polish meal. Today marks 239 years for the United States Navy, starting with the Continental Navy, when the Continental Congress authorized the procurement of 2 armed vessels, on October 13, 1775. By the end of our War of Independence we had almost 50 ships with 20 warships in our fleet. 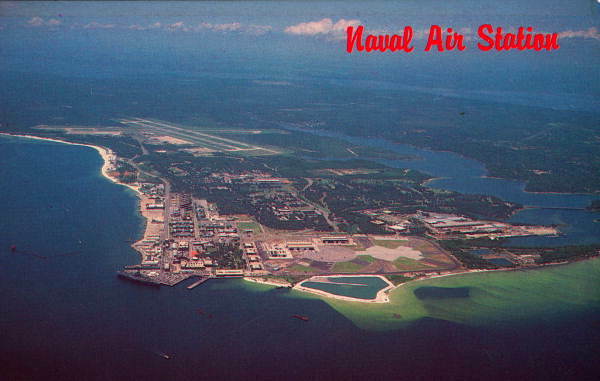 NAS Pensacola is the primary base for Navy, Marines, and Coast Guard Aviators. In 1825, President John Quincy Adams designated this area for the Pensacola Navy Yard. The Navy Appropriations Act of 1911 made the possibilities of Naval Aviation. We are also home of the Untied States Navy Blue Angels. The Blue Angels were formed in 1946 for the morale of the Navy. We are real proud of “our” Blue Angels around here. We get two shows, one out on Pensacola Beach and then their Homecoming Show in November. My Grandbaby Lilly was here in July and we went out to the beach for the show. As you may imagine, it was a perfect day. The show in November will be held out on the base and we will be going out for that too. Our Navy is rich in history. Their motto is “Not Self, But Country,” or “Non sibi sed patriae”. With that in mind, Honey and I took our pup to take a run out to the beach just last night. As we were unloading the truck, a polite young man came up to us to “borrow” a smoke, I asked: “Do you have a lighter?” Oh, yes ma’am. About 5 minutes later he came out to the water for that light. My Honey asked, “what you boys doing?” He said they were stationed out to the base. My Honey, being the Marine Vet he is, reached around and gave that young man a twenty spot, “just to get through”.